What a fantastic weekend of bowls. Congratulations to all our winners especially Malcolm Goman in the Men's Championship and Gillie Hill in the Ladies Championship. 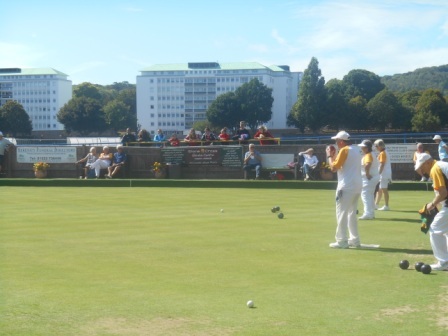 A big thank you to all our members who supported or contributed in any way to another successful bowls event at Saffrons. There was great support for the finalists and even the ladies footballers were enthralled with the games from over the fence. The bottle raffle and the silent raffle were brilliantly supported and together with the refreshments and bar raised in excess of £1000 for the club. Unclaimed bottles are at the club. Trophies will be presented, following the President v Captains' Match, on Sunday 23 September.